Atomic Bomberman uses IPX for its networking. 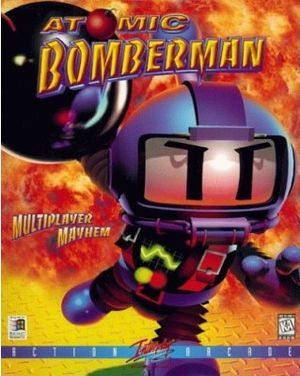 To play Atomic Bomberman on a modern computer, download IPXWrapper and copy the files into the Atomic Bomberman folder. 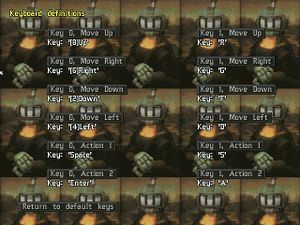 The game supports 2 keyboard players, plus any number of game pads on one PC. It also has LAN support, but may lag. A maximum of 5 computers can play together in network mode. To play a 10-player LAN game, every computer should have at least 2 players using it. For a better way to set up online multiplayer Atomic Bomberman games, download Atomic Bomberman Launcher and copy the files into the Atomic Bomberman folder. 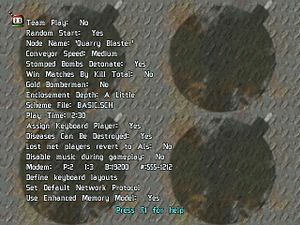 Run ablauncher.exe to set up the options, then click "Launch" to start the game and go to "Start Network Game" to use the selected options. This page was last edited on 5 October 2018, at 12:17.